We took a Ryanair flight from Brussels to Oslo Rygge and landed there at around 10:00. The airport is quite far away from the city, but there are public buses running the whole day. Just exit the airport and you will find the Rygge Express bus, that will take you to the city Bus Terminal in the city center in 1-hour time, the price is around 120NOK (16euros). All the hotels are located near the Bus Terminal, you will have to walk maximum 1km. If you arrive at Oslo International Airport, you can reach the city by the express train (Flytoget – 30mins journey), or by express bus (running every 20mins, around 30mins journey). Time to check-in and ready to explore Oslo and its great landscapes. Yes, in Spring time this city is a real jewel, with its deep-blue sea and its green islands; you can already admire them from the plane, but when you see them in front of you, you will be speechless. You can get to the harbor on foot. There are signs everywhere to show you the good direction; otherwise, from the central station take Biskop Gunnerus gate and then take Skippergata (that will become Akershusstranda later) on your left, and just go straight, you’ll get to the harbor after 15mins walking. 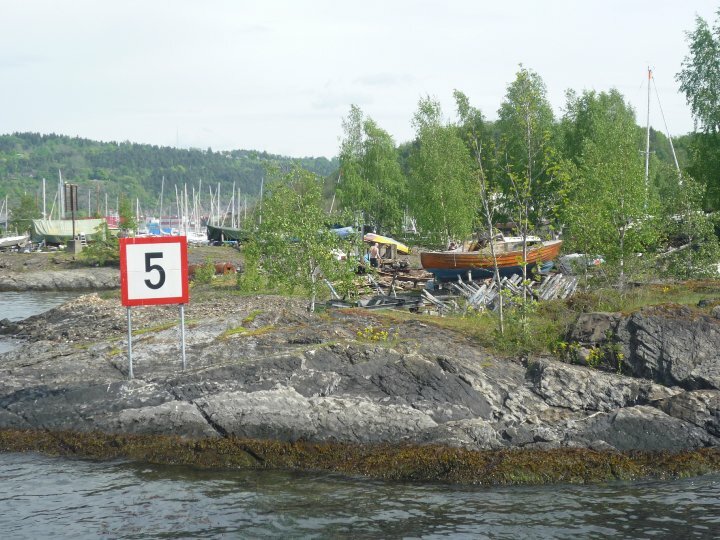 Once you get to the harbor, you will find the directions to the ferry to Hovedoya. Please make sure you have cash with you, since there is no ATM around and euros are not accepted. The ferries run very frequently during the day, so just hop on the first available one and in less than 10mins you will be arriving in Hovedoya. 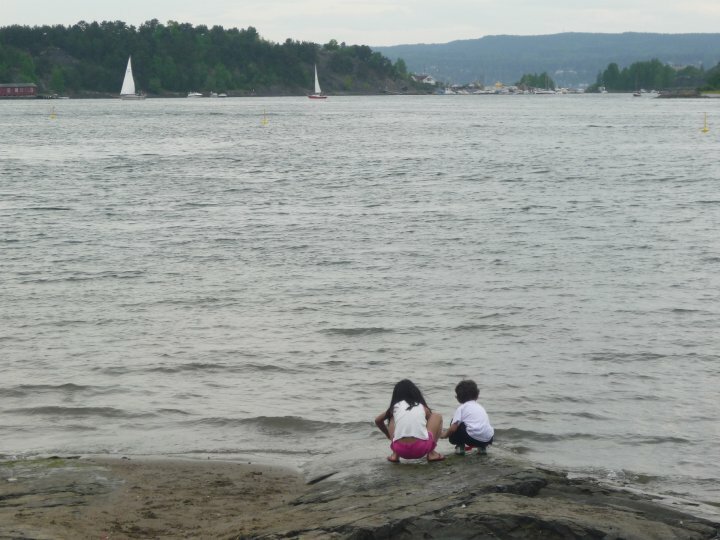 Hovedoya is a wonderful island just next to Oslo, only 800m wide. You can explore it on foot, it is the best way to enjoy all the variety of trees and flowers this island can offer. Besides the fantastic nature this island preserves, there are also the ruins of the Cistercian monastery, a building that was one of the key economical and military points in the Middle Age. The coast is very popular nowadays also for bathers. The trip to the island will take you a few hours, then you can go back to the city, rest a little bit, and enjoy Oslo nightlife. Please note that Oslo is the most expensive city in Europe, a simple burger can cost 20€ and drinks are not affordable at all (consider that alcohol has a special tax, higher than the normal one, so you can easily find beers at 10€ or standard bottle wines at 30€), but a night out in the city is totally worth, there are bars everywhere and people are very nice and friendly. The city is not dangerous at all, so you can stay till late with no problem…and also because you cannot miss something special: the sun rising at 4 A.M.! A very strange impression if you’re not used to! After having explored the islands, it’s time to explore the city! You can start the visit of the city with its cathedral (Domkirke), located at Stortorvet square. The Cathedral’s lower end is surrounded by the Bazaar, a curved long building also called ‘Kirkeristen’ (completed 1856). Integrated with the Bazaar on the side of Karl Johan is the Fire Watch that served as Oslo’s main fire station from 1860 until 1939. The Cathedral itself, the Bazaar and the Fire Watch are all built in red brick. The Fire Watch has a tower covered in green copper like the Cathedral. The Cathedral is laid out like a Latin cross. From the Domkirke, take Karl Johan’s gate, the main street of the city. Today’s Karl Johans gate is a composite of several older streets that used to be separate thoroughfares. All the main and historical buildings are located there. Enjoy this 1km walk and admire the great architecture of its buildings. At the end of Karl Johans Gate you will arrive at Slottsparken, an oasis of pure green in the city. This park hosts the Royal Palace, the official residence of the present Norwegian Monarch. 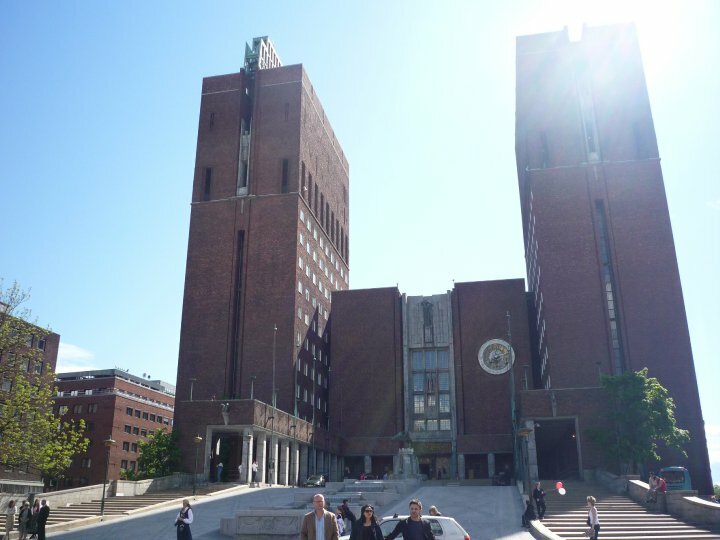 Once you do the tour of the park, go back to Karl Johans Gate and from there take Universitetsgata (the parallel street just before the park) towards the coast, and you will get to the City Hall, a massive building that houses the City Council, the city administration, and art studios and galleries. 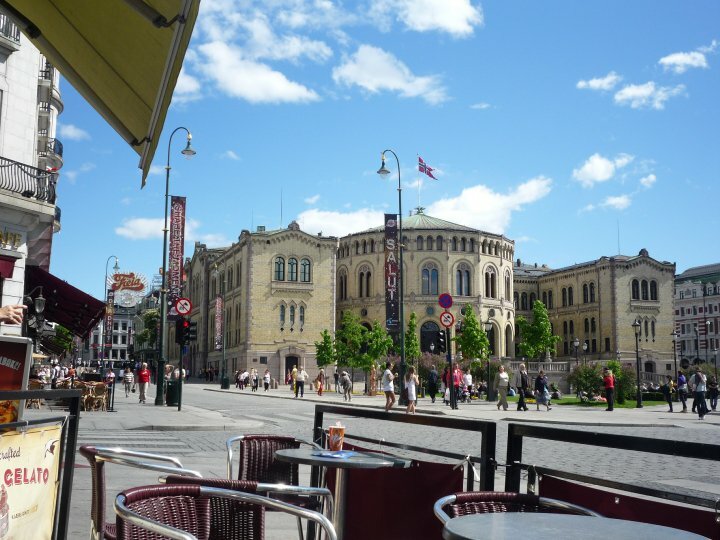 Its characteristic architecture, artworks and the Nobel Peace Prize ceremony makes it one of Oslo’s most famous buildings. The roof of the eastern tower has a 49-bell carillon which plays every hour. The Nobel Peace Prize is presented to the winner on 10th of December each year in Oslo City Hall. After seeing the City Hall, take a walk along the coast in front of the building, this is a wonderful corner of the city, plenty of boats, cafes, restaurants and people. Just behind the cafes, there are several contemporary buildings, such as the Concert House. After this nice and relaxing walk along the coast, go back next to the City Hall and take the coastal road on the other side (Akerhusstranda). 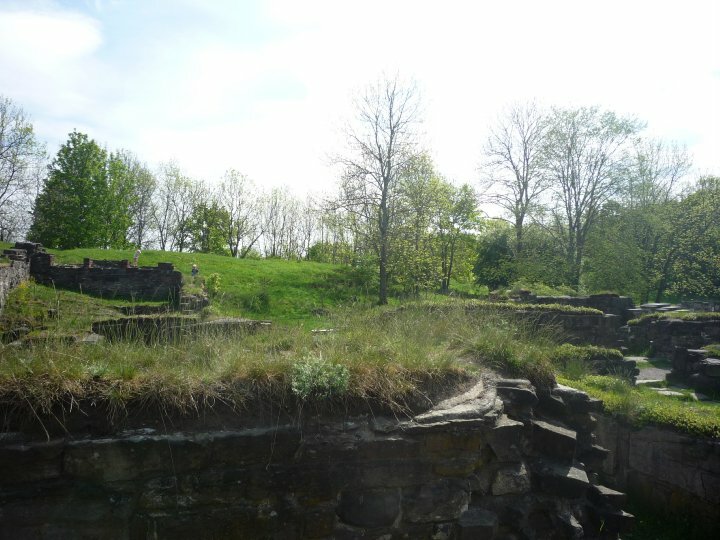 After 10mins walk you will arrive at the Akerhus Fortress. This medieval castle and royal residence developed into a fortress in 1592, after which it was rebuilt into a renaissance castle 1637-1648. Akershus Castle includes several magnificent halls, the Akershus Castle church, the Royal Mausoleum, models of the castle, the government’s reception rooms and banquet halls. 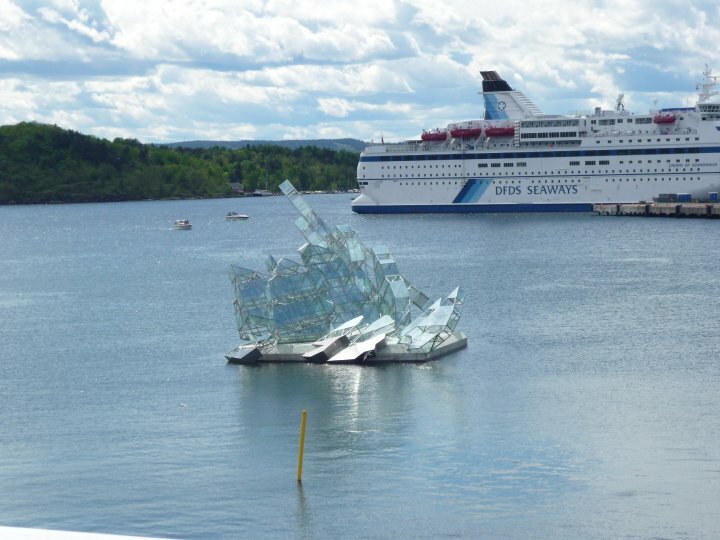 From the fortress, take a big walk along the coast (alternatively, cut through Radhusgata), pass the main train station and just there along the coast, there is a pure wonder of the contemporary architecture: the Oslo National Opera and Ballet. The Norwegian National Opera & Ballet is Norway’s largest performing arts institution, with over 600 employees working in about 50 professions and trades. After the opening in 2008, the Opera House in the old harbor area of Bjørvika soon became a landmark in Oslo. 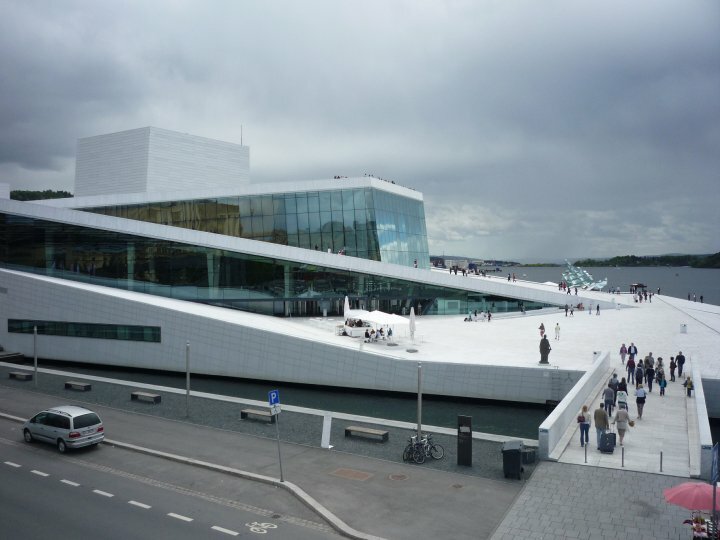 Designed by the Norwegian architects Snøhetta, it is the first opera house in the world to let visitors walk on the roof. Depending on your flight time, you can either see the Vigeland Park and Munch museum on Day 3, either one of them. Vigeland Park is located 3 km northwest of the city center. In order to get there, take the tram 12 from the station and stop at Vigelandsparken – the journey takes 15mins. The park features 212 bronze and granite sculptures created by Gustav Vigeland. These works of art reside along an 850 meter-long axis divided into six sections: The Main Gate, The Bridge, The Children’s Playground, The Fountain, The Monolith Plateau and the Wheel of Life. A real open-air museum. Munch Museum: this great museum hosts most of the masterpieces of Edvard Munch, a pioneer in expressionism. 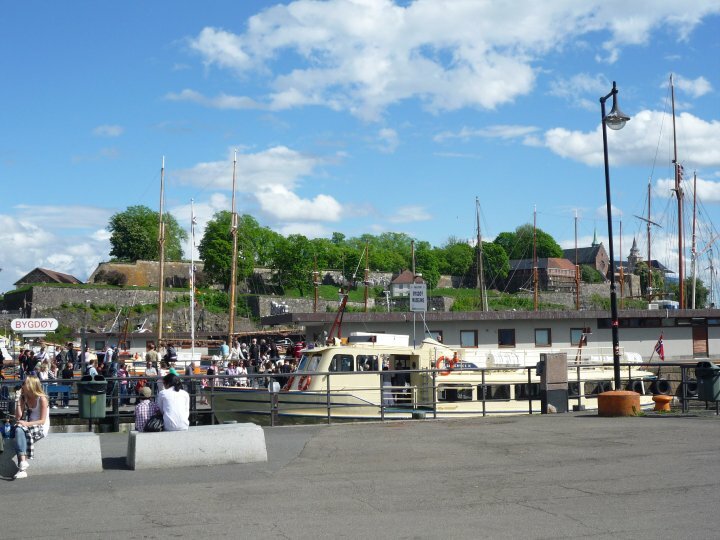 The Munch Museum’s collection, left to the city of Oslo by Edvard Munch, consists of a large number of paintings, graphical prints and drawings. In order to get there, take the bus 22 from the main station or the metro and stop at Toyen Station. Please note that the museum is closed on Mondays and its opening hours are 10:00-17:00.